Home / People / How many people in the world don’t have electricity? How many people in the world don’t have electricity? 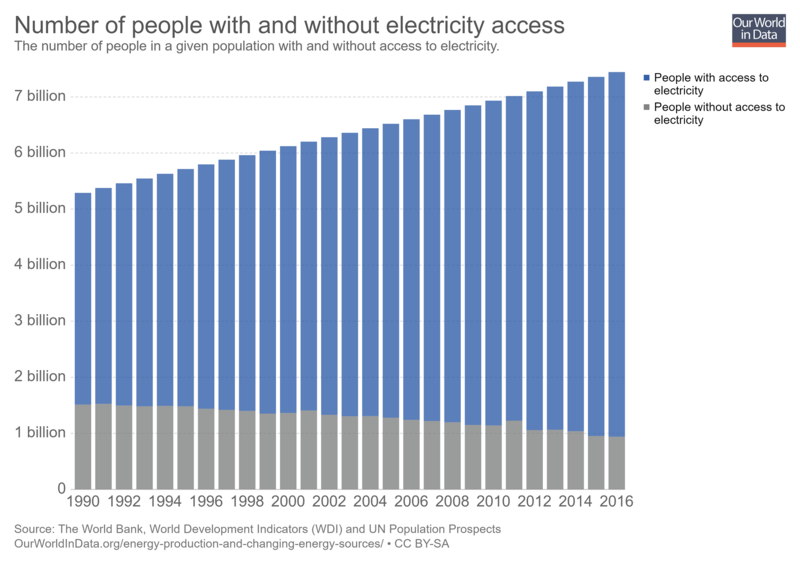 Our World in Data’s latest visualization is a bar chart from 1990 to 2016 of the number of people with and without electricity. In 2016, out of about 7.5 billion people nearly 1 billion lived without electricity or about 12%. In 1990, 1.5 billion people were without electricity, a decrease of 1/2 a billion, but also a decrease from 35% to 2016’s 12%. Their graph is interactive and users can choose individual countries, download the graph, and download the data. 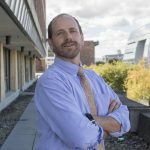 Related Post (12/14/17): How many people don’t have access to electricity? Previous How much money do parents spend on children? Next Where will our electricity come from in next two years?